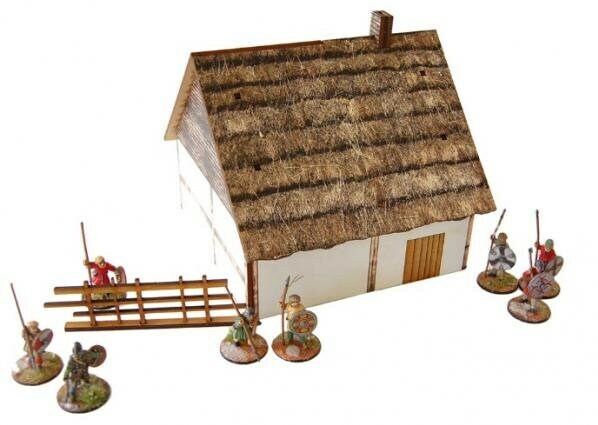 A big Anglo-Saxon whitewashed house. Includes a wooden fence. Miniatures shown for display only.